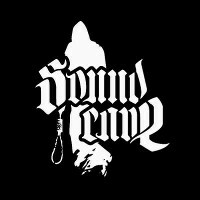 Welcome to a new rebirth of sound-cave.com ... after 10 years + of service, the old website has been sent to retirement! Our new store, still in an uncomplete release at this moment, will feature quite a few useful functionalities; maybe not really in the aesthetic side of things (all stores look the same nowdays anyway) but more in the communication between seller and customers: a general improved possibility to present products, special offers, special sections (i.e. 2nd hand, rarities, preorders) but also specifically: orders follow up, instant parcel tracking informations released, wholesale accounts, and the possibility to use a personal shelf (real, not virtual like in Amazon), where you can add products for a certain number of days before turning it into a real cart and order completion. This feature will be enabled only on specific request by the customer, as we want that only the really interested people will have access to this. influencing the development of Wolves in the Throne Room. But while these artists have thrived in the public spotlight, Fauna chose to stay in the shadows, and to remain quietly in the damp, wild forests of the Pacific Northwest. Obscure Majestic Melancholic........ Black Metal. Melancholic dark music, with various kind of influences, from darkwave to postrock anda dark metal.